Posted June 17, 2017 by finnfemme & filed under Fashion, Vintage. 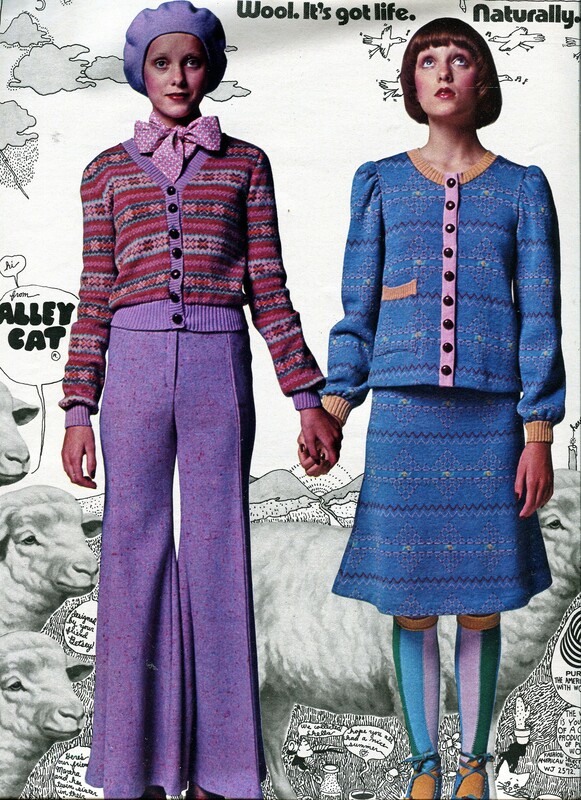 I love this American Wool Council/Alley Cat ad from the August 1972 issue of Seventeen magazine. 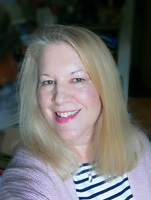 Betsey Johnson teamed up with the Wool people, as she had done with the Cotton people previously. I like the fact that she placed such great emphasis on American textiles and manufacturing. These were quality fashions, meant to last. The models (“Martha and her twin sister”) are wearing fashions made from 100% pure wool. On the left is a pretty Fair Isle cardigan with matching flared leg pants in purple, mauve and pink. On the right is a jacket and skirt suit set in blue. There are quirky drawings by Betsey herself, with cute captions. And of course, sheep!